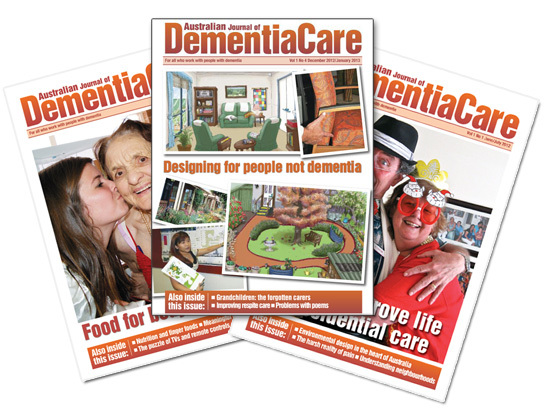 The experience of dementia is vastly different for each individual. No two people will respond the same to a particular stimuli, and what works for one person may be a trigger, and counterproductive for another. We see repeatedly in practice the value of non-pharmacological interventions, small details that make a world of difference; a little bit of time for meaningful engagement, a comfortable and homely environment, and care being provided that is aligned to each person’s preferences (Soril et al 2014). 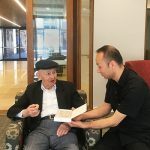 To decipher how this may look for an individual, staff need to take the time to get to know the person, speak with their loved ones, and try to understand what the person might be thinking or feeling, and why they may be reacting in a particular way. 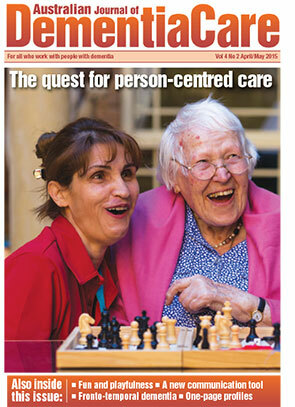 This is often easier said than done, and is the challenge of providing quality, person-centred care in dementia. For people with traumatic memories, as dementia causes them to lose touch with reality the impact of these can become more and more evident from day to day. As dementia progresses, uncomfortable memories often resurface as a person becomes less able to use learned cognitive strategies for managing them (Flannery 2002). For one particular woman with dementia admitted to our unit, Yathong Lodge, who we will call Mary, this had become her reality. Yathong Lodge is a 16-bed unit within Wagga Wagga Base Hospital, and part of its Mental Health Service. Eight of the beds are specifically devoted to people with dementia experiencing responsive behaviours. People are admitted to Yathong Lodge from across the health district who are unable to be supported or cared for within their environment due to the severity of their symptoms. The length of stay varies significantly – from a week to months, depending on the person’s needs and housing situation. Mary had grown up in England during the war and it was suspected that she had been sexually abused as a child. For Mary, taking her clothes off had become so traumatic that she had not showered in six months. Following admission to our unit, Mary’s incontinence became nightly, making a morning shower unavoidable. However, every shower triggered traumatic memories and Mary reacted aggressively, making it increasingly difficult for the staff who were supporting her, and leaving Mary in an unhappy mood for the rest of the day. After a traumatic morning there was very little that could be done to bring a smile to her face, and the things that she usually loved, such as listening to Slim Dusty or Shirley Temple music, her stuffed animals, or books with colourful pictures, did little to improve her mood. 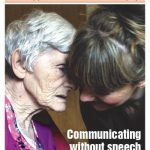 Staff experimented with using different strategies for approaching Mary when providing personal care, including the use of a ‘dignity gown’ to make her feel less exposed, playing her favourite music, and taking a friendly, slow approach. 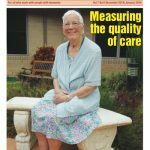 This made little difference to Mary’s quality of life and it appeared there was little that could be done to ease the daily trauma she experienced around showering. 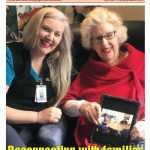 An attempted discharge to a residential aged care facility lasted only five days before Mary returned to our unit. 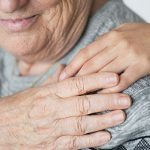 Reports from the care home of Mary’s severe aggression during personal care, and an incident where five staff members were called to restrain her during a shower made it clear that something needed to change. During her time in our unit we had noted that Mary always reacted negatively to male co-patients and quickly became defensive as soon as anybody came near her. As our unit is located in an old building, it has only two communal bathrooms for the eight-bed dementia wing. As with most hospital bathrooms, these are non-gender specific, and present as being sterile and uncomfortable. The environment alone was enough to terrify Mary. After many staff meetings to discuss possible strategies to help Mary, we came up with a new idea; what if we found a bathroom just for Mary’s use? If the bathroom and the task of getting undressed was something she associated with a traumatic past, how might she react if the bathroom was a space just for her? 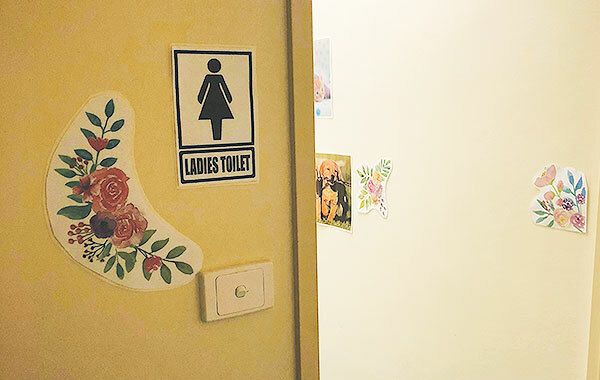 We trialled turning an unused staff bathroom into the safe space she needed. Mary loved animals and anything pretty and feminine, so we worked to turn the spare bathroom into an environment that she would like to be in. 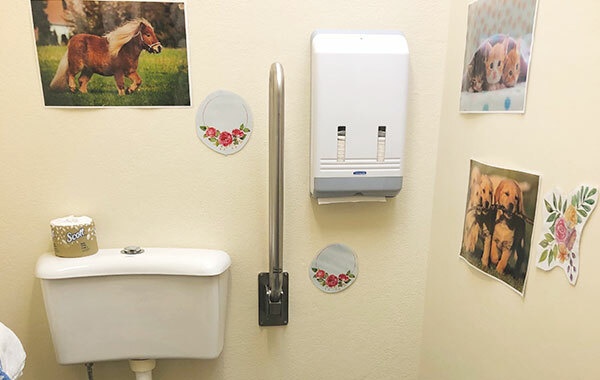 We placed a clearly labelled ‘Ladies Toilet’ sign on the door and covered the walls with pictures of pink flowers and baby animals. When she first walked into ‘her’ bathroom, Mary’s reaction changed immediately, with her focus shifting to the pictures on the walls. The result was that instead of being overwhelmed by dread at the thought of going to the bathroom, it became a place where Mary felt comfortable. Because she felt comfortable there, she began to identify the urge to use the toilet, which we had not seen from her in the months she had been in our care. Mary started opening her bowels on the toilet there, rather than being incontinent regularly, and this had a huge positive impact on her care. Now that she was using the toilet throughout the day, her overnight faecal incontinence dramatically reduced, meaning those morning showers were no longer a strict necessity. 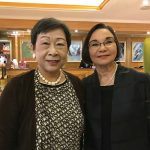 This has made a world of difference to Mary, with a significant improvement in her state of mind, meaning she is able to interact more positively with the people around her, and spend her time doing the things she enjoys. The take-away learning from Mary’s story is the value of the little things. 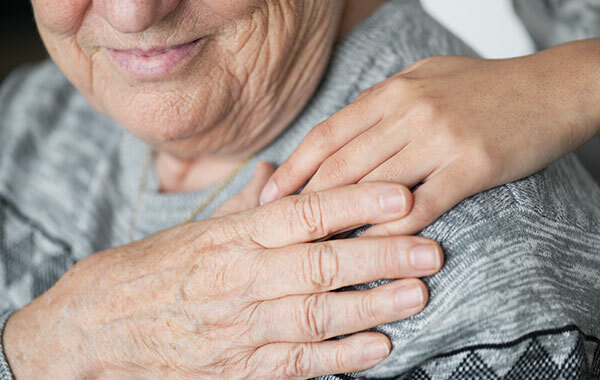 Gathering information about a person’s life on admission is crucial to providing person-centred care, and it is often in this that hints and clues of what might work for somebody can be found. 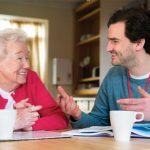 In our unit we do this by engaging with the person’s family, talking to them about their relative’s history and their life. On admission we ask each patient’s family to complete a Top5 form* and a life story book, as well as list the person’s music preferences. Mary’s family, whilst limited in the time they could spend due to distance, were very happy to share stories of her life, revealing her suspected trauma, as well as clues, based on her younger life, for engaging with her now. By consulting the family and gathering information we can use the person’s history and personal preferences to engage them in meaningful activity and develop strategies to prevent responsive behaviours from escalating. Some of the strategies we have found to be extremely beneficial are music therapy and the use of a robotic tiger, purchased from a local toy store, which individuals can engage and interact with. We also have psychiatrists who assess the medications a person is taking and modify these as appropriate. As a vital part of this process we hold regular meetings as a whole team to discuss responsive behaviours and collectively problem-solve a consistent approach. This enables the team to share strategies and ideas and to learn from each other’s successes and mistakes. As many staff as possible, including nursing, allied health and management, at all levels, attend these meetings. Even the regular cleaners on our unit get to know the patients and will feed anything of note back to clinical staff. As Mary’s case has highlighted, the solution is rarely straightforward, but trying to view the situation from the perspective of the person and problem solving why somebody might be acting in a particular way can be a good place to start. There were many times as a team that we felt defeated and helpless working with Mary. During the seven months she was with us the team felt we had tried everything. Creating the special bathroom was one of many strategies we had worked through and trialled, with others seeming hopeful one day, and being counterproductive the next. Whatever a staff member’s position, they have a vital role to play in the quality of care an individual receives, and have valuable insight into the approaches that may work. The key is to not give up on a person and it is always worth trialling strategies that may seem ‘outside of the box’ because it is often these little changes that make all the difference. 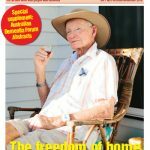 Flannery RB (2002) Addressing psychological trauma in dementia sufferers. American Journal of Alzheimer’s Disease and Other Dementias 17(5) 281-285. Soril LJ et al (2014) Effective use of the built environment to manage behavioural and psychological symptoms of dementia: a systematic review. PLoS ONE 9(12): e115425. doi:10.1371/journal.pone.0115425.